If you ask most hobbyist gardeners about purslane, scientific name portulaca oleracea, they would likely shake their heads and have some unpleasant phrases at the ready. Purslane, also known colloquially as pigweed, is a leafy green plant native to India and Pakistan that now grows in gardens and flowerbeds across the world. Gardeners despise pigweed for its relatively ugly appearance, incredibly tenacity as a grower, and ability to thrive in arid and chilly conditions. However, purslane has a variety of health benefits that are largely ignored by the greater medical community -- maybe people shouldn't be so fast to curse this little plant after all. Purslane contains a high amount of vitamin A, which has been proven to reduce the incidence of various cancers in a tested population. Among its fellow leafy greens, purslane actually has the highest vitamin A contents, meaning that it is extremely useful for people with bad eyesight or poor ocular health. Purslane also contains a solid amount of vitamins B and C, including trace amounts of other useful minerals such as calcium, magnesium, and iron. These minerals can help strengthen weak teeth and bones and provide the body with much-needed immunodeficiency help. 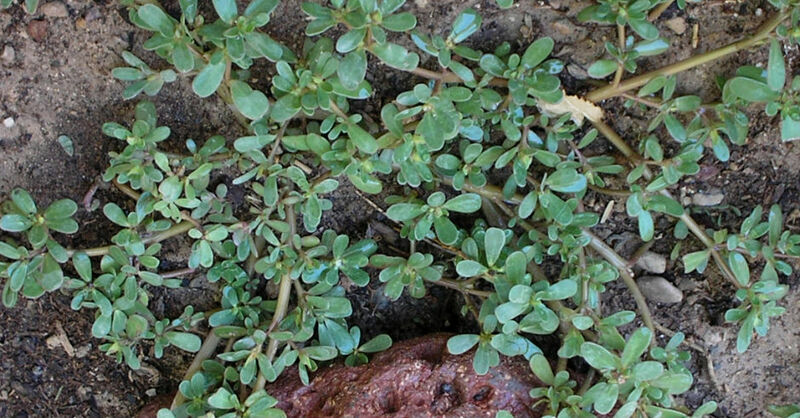 Purslane is also widely recognized as a plant with excellent antioxidant powers. Even though it is commonly derided as a weed, extensive chemical tests have proven that beta-xanthins and beta-cyanis pigments exist in large quantities in both the leaves and flowers of the plant. Betanin alkaloid pigments are widely recognized for the antioxidant effects that they have -- antioxidants are considered an important part of a healthy and balanced diet, and may, in fact, decrease one's propensity for chronic diseases like Parkinson's and certain cancers.